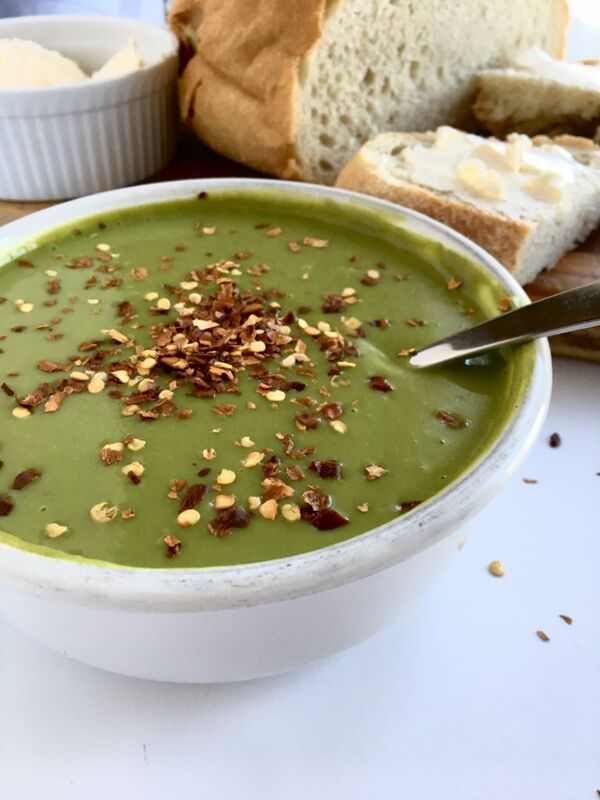 Creamy Spinach Blender Soup - an easy vegan dinner! A rich, creamy soup you can make in the blender and have on the table in under 30 minutes from start to finish? 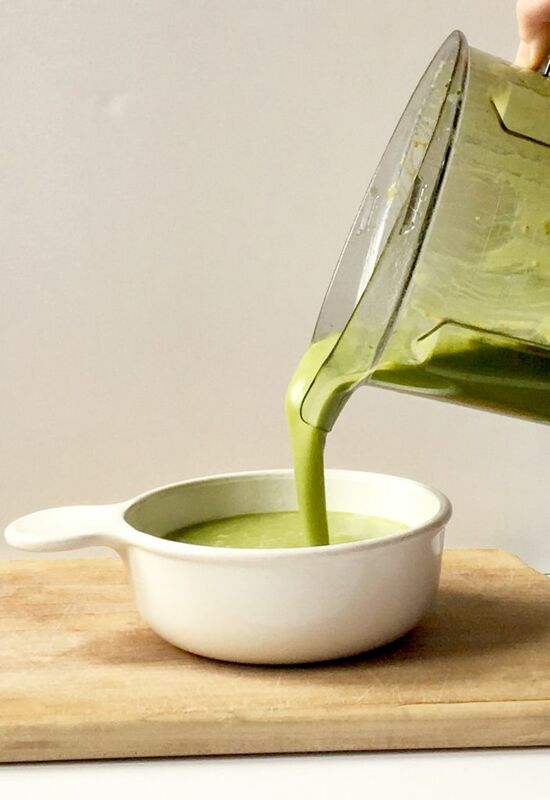 Introducing: Creamy Spinach Blender Soup. We love blender soups. Welcome to your new favorite way to get your greens in while still feeling like you’re indulging in some seriously killer comfort food. 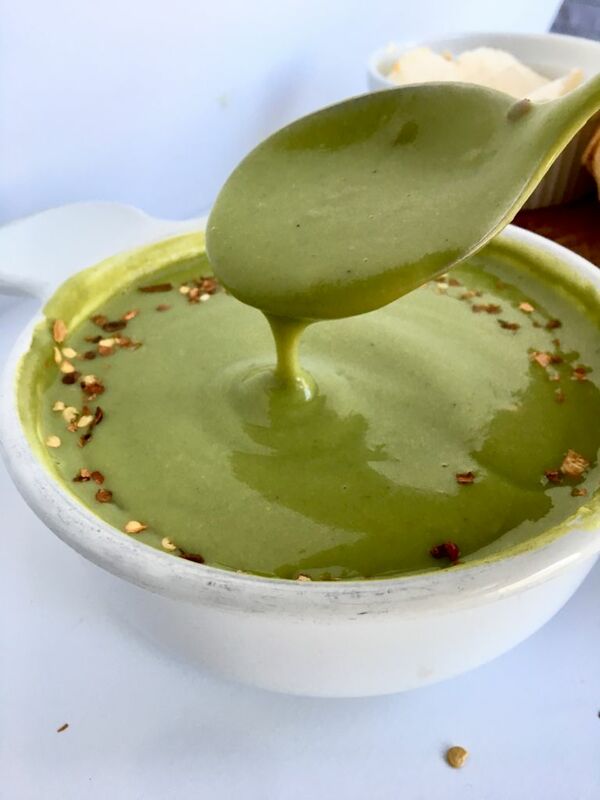 This creamy spinach blender soup is such a great weeknight meal, as evidenced by our dinner record as of late. I swear we’ve made this soup at least 5 times in the last 2 weeks. Not only is it that good, but it’s also that easy. All you do is boil a small potato, some red lentils, and cashews. 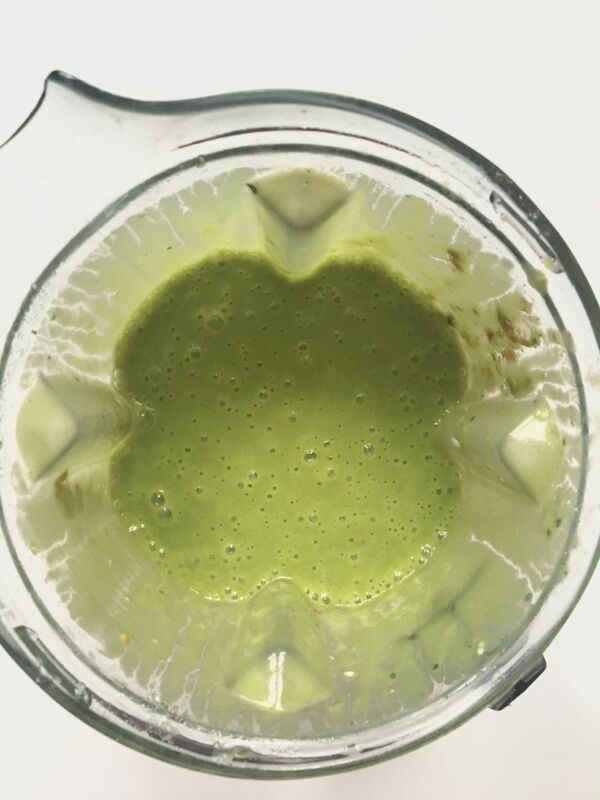 Then, add them to your Vitamix along with some spinach, veg broth, and spices, and blend ’til smooth and creamy. We highly suggest making this soup in a Vitamix or other high-powered blender or food processor. We used and loooove this one. It blends the cashews so perfectly. If you don’t have a high powered blender though, fret not! You can easily sub silken tofu for the cashews which will be easier to blend. I gotchu! And to make matters more awesome, this Creamy Spinach Blender Soup is soooo damn filling. It would work well as a quick lunch to power you through the rest of your day. Oh! 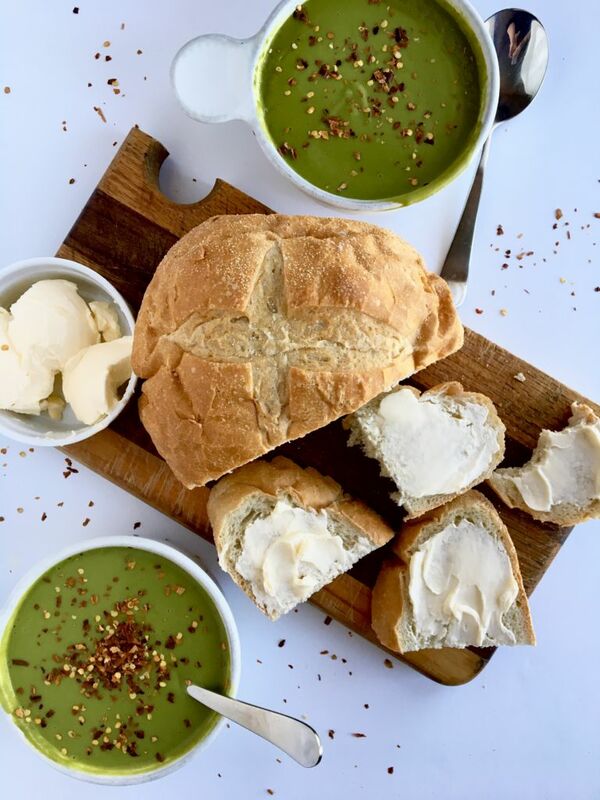 And did I mention this Creamy Spinach Blender Soup is also oil-free and gluten-free?! Plus, it’s packed with protein amongst all the other feel-good nutrients a nice big serving of greens provides. But it tastes so GOOD you’ll think you’re eating a soup made with heavy cream and cheese. This soup has forever changed me. When you give this soup a try, let us know! 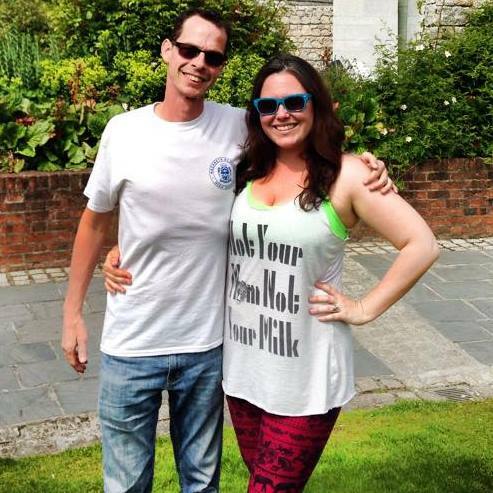 Tag us in your drool-worthy photos on Instagram (we’re @theplantpowercouple, with the ‘the’) or Facebook (just Plant Power Couple there). Enjoy! Make this easy Creamy Spinach Soup for a perfect comfort food dinner on a lazy weeknight. You'd never guess it's vegan and full of nutrients! Fill a large sauce pan with 6 cups water and get it boiling. Once it's boiling, stir in your veggie bouillon until dissolved. Peel and dice your potatoes. Add them to the boiling water with your lentils and cashews. Turn heat to medium, cover, and cook 15-20 minutes. 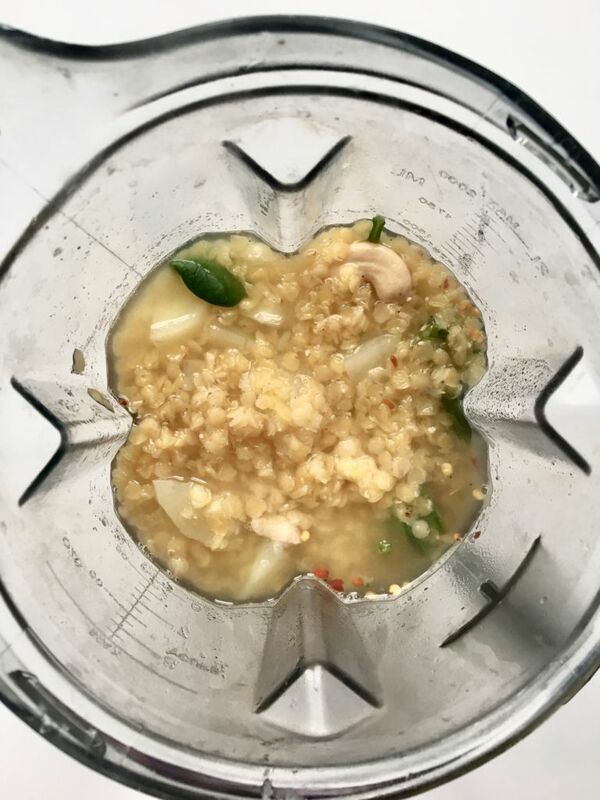 Empty the contents of your sauce pan (including the cooking water) to a high-speed blender or food processor along with the remainder of ingredients. Blend on high until the soup reaches a thick and creamy consistency. Taste and adjust seasonings to your liking. Serve this soup with some added red pepper sprinkled on top and enjoy! Because you're using cashews, you'll want to use a good blender or food processor for this. We love our Vitamix . If you don't have a high-powered blender, you may want to try subbing silken tofu for the cashews as this will be much easier to blend! The recipe looks delicious. But I wouldn't be able to eat it, I'm very allergic to cashews (and many other foods called "nuts", such a peanuts, walnuts, hazelnuts, etc. -- only one I know is fine for sure is almonds). Do you have any suggestions for alternatives to cashews in this recipe? Hi, Craig! Although I haven't tried it, I think silken tofu would work as a great replacement for the cashews. You could also just use some plain unsweetened soy milk for a less creamy option. Thanks for this recipe - just made it for lunch after finding some tired frosted up spinach in my freezer and wondering how to turn it into something nice to eat. I didn’t have lentils and only a small handful of cashews so the texture came out a bit gluey from the blended potatoes, but it was still nice. Thanks for saving my lunch!